I just moved to Portland about a year ago, and it's been really exciting to have access to fresh, local Pacific Northwest fish and seafood! 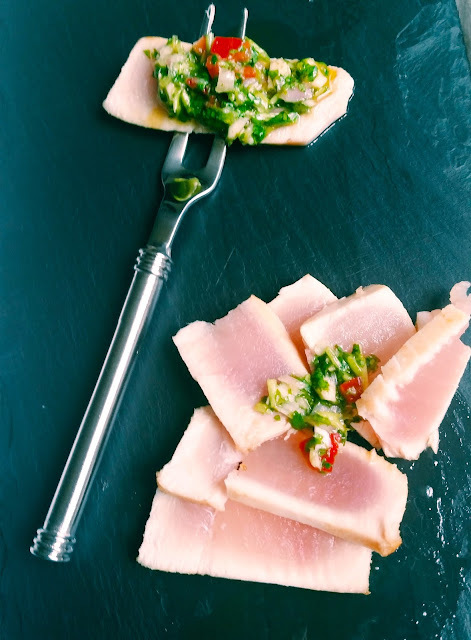 Back in the landlocked state of Arkansas, I frequently cooked with flash frozen Ahi tuna to the temperature of rare to medium rare. When I saw the albacore tuna at the grocery store, I Googled it to see how it was cooked. I was excited to see that it's cooked like Ahi! Quickly seared on each side...and done! 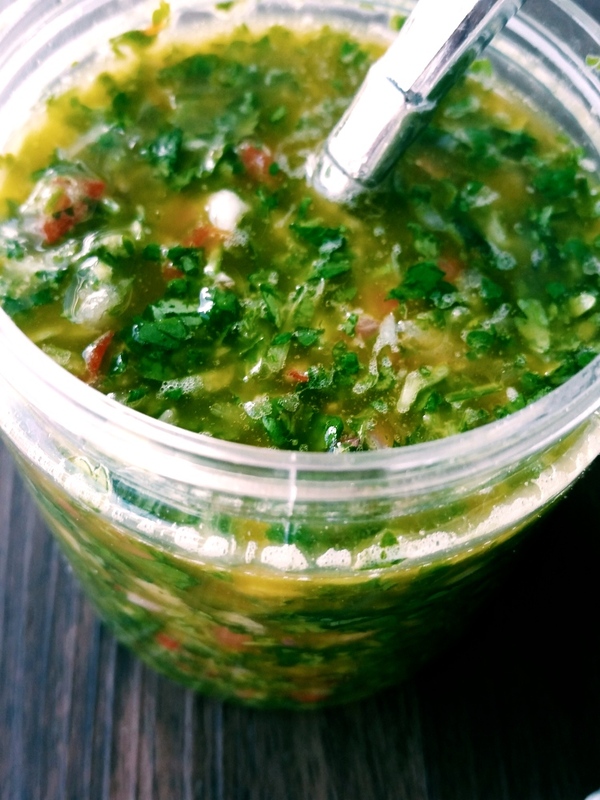 I love cilantro, so I love to put chimichurri on just about any protein that I cook in my kitchen! 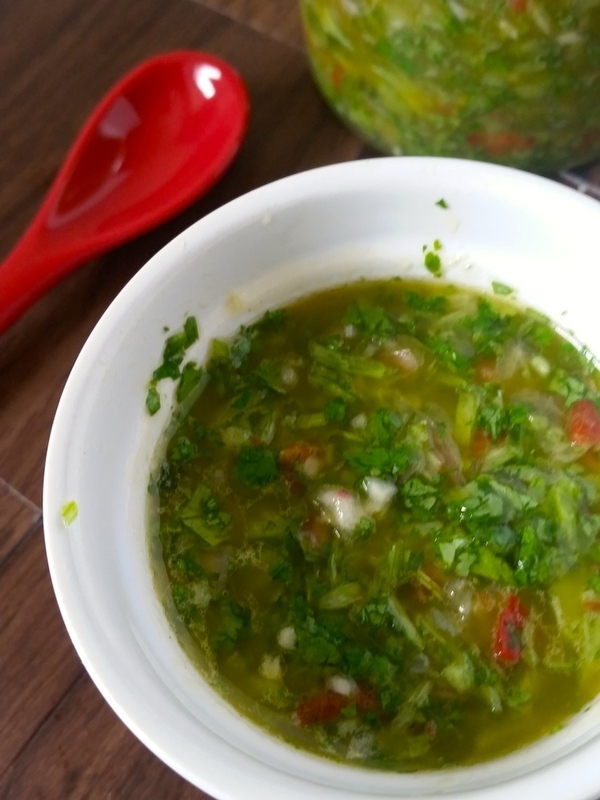 I've made the chimichurri a little on the chunky side for this post, but it can also be processed longer for a smoother consistency. Today is National Daughter's Day, and this recipe was made for my daughter Gianna for her after school snack. 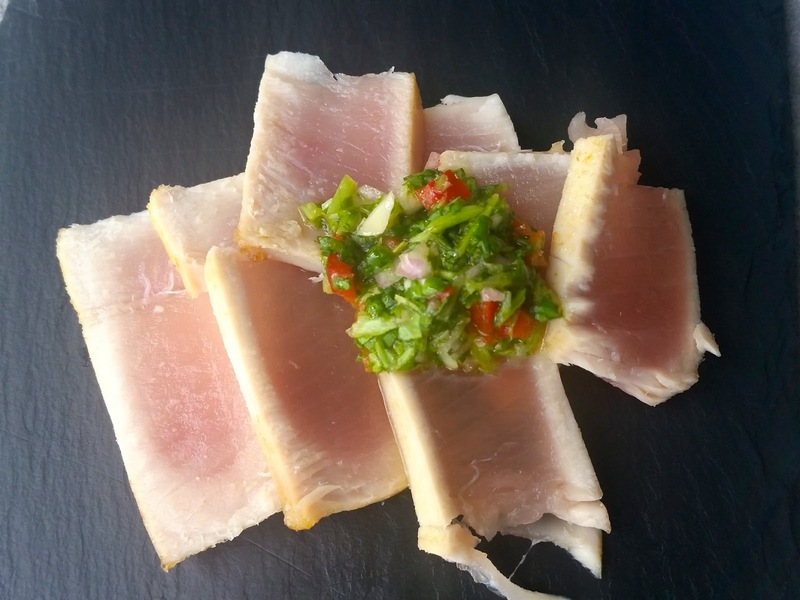 The albacore tuna came from Lummi Island Wild, our neighbors in the Pacific Northwest. As I sampled and tasted, and she devoured, it was looking like we'll be regular fans! The portion I made was 6 ounces, and the cost was 6 dollars. That's a nice price for some lean, delicious protein! I love the affordability of local and fresh fish. Sear each side about 2 minutes. Combine all the ingredients in a food processor and pulse until desired consistency, adding the olive oil last.